Our maternity support worker training is designed to help people to get into maternity support worker jobs within NHS and private hospitals as well as GP surgeries. This course is recommended for people who look for to become maternity care assistant but have no experience, or wish to come back to work after the break in previous employment. Furthermore, those people who wish to study midwifery find this course very useful as it will provide additional credits for university application. 3 days of intensive training (18 hours), 1week self study + online assessment(80 min). In order to pass the assessment you need to achieve a mark of 60% out of 100 multiple choice questions. The first assessment will be included in the price, however if you fail the first attempt the next time you will be charged a penalty fee of £25.00. You will be allowed to re sit the assessment twice only. If assessment is failed 3 times in a row, you will be required to re sit the theory classes again. The fee to re sit the class will be £165.00. Voluntary work placement as a Health care Assistant (70 hours) will be arranged for you in the Nursing/Care home if required. The candidate who wishes to apply for maternity support worker training will have to have a good command of English and Math as well as Enhanced DBS (Disclosure and Baring Service) check with no criminal conviction. Total fee for this training is £375. To book your place for the next available maternity support worker please refer to Courses page. 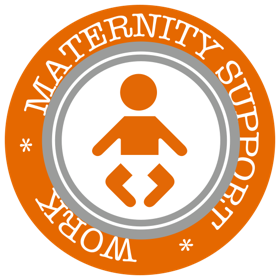 If you require any additional information regarding maternity support worker training please do not hesitate to contact us.